With two active children and a long summer stretching out before us, it pays to be armed with plans and plenty of local knowledge. Luckily I have both and I’m happy to share! Please add any of your favourites in the comments if I’ve missed any gems. Discover all the rock pool critters along the causeway, when the tide goes out at St Michael’s Mount. You can even join Great Scott for guided tours on selected days. 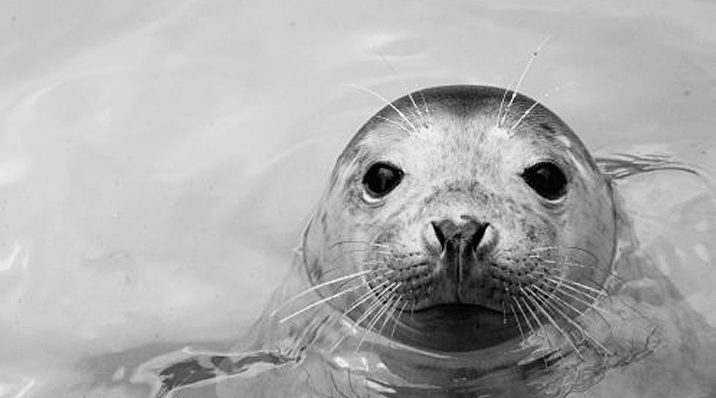 Visit the Seal Sanctuary on the beautiful estuary at Gweek, the Tamar Otter & Wildlife Centre, Wild Futures Monkey Sanctuary, Flicka Foundation Donkey Sanctuary or the Bird Hospital at Mousehole. There’s also a zoo in Newquay and aquariums at Newquay and Fowey. Take your binoculars to the famous wildlife watch point at Lizard Point for seal, dolphin and occasional whale and basking shark sightings. Meet the reindeer and hand feed the foxes at Feadon Farm at Landal Gwel An Mor, near Portreath. Choose from several wildlife experiences. Scale the massive wooden adventure playground at Heartlands. It’s free other than parking and you can get a great coffee and decent, affordable lunch at The Red River Cafe. On rainy days soft play is sometimes your only option and the best we’ve found is Basecamp at Gwel An Mor, which also has clip and climb climbing walls for bigger kids (there’s also a similar one at Cornwall services). Basecamp is clean, serves good coffee and isn’t on an industrial estate, what more could you ask for from a soft play experience? 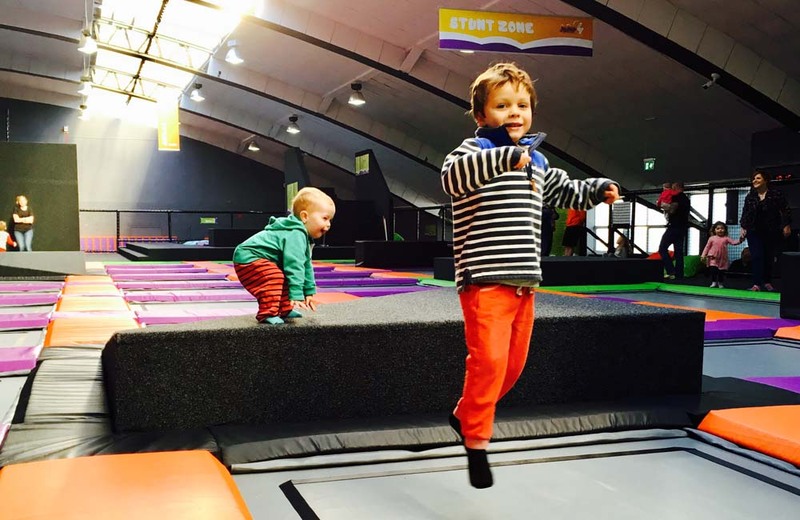 Not the most natural or relaxing of settings but great for expending energy – wear out the kids on wet days at trampoline parks Jump 4 in Redruth or iBounce in Bodmin. On sunny days, save yourself some cash and clamber over rocks at the beach. Just look out for danger signs. 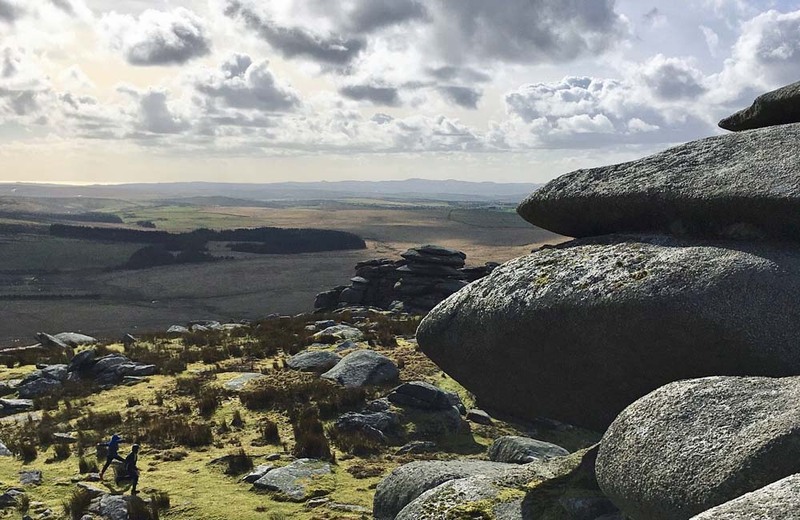 For the first time this year we managed to march our six year old up Rough Tor – Cornwall’s second highest peak on Bodmin Moor – and we have plans to scale the highest, Brown Willy, this summer. We may even try this round walk. The views are amazing and it’s a great place to dodge the summer crowds. Most of the major beaches and rivers in Cornwalls have surf schools, SUPS or kayaks for hire. Something that particularly caught my attention this summer though is the ‘SUPing to Save the Planet’ course run by Harlyn Surf School near Padstow. 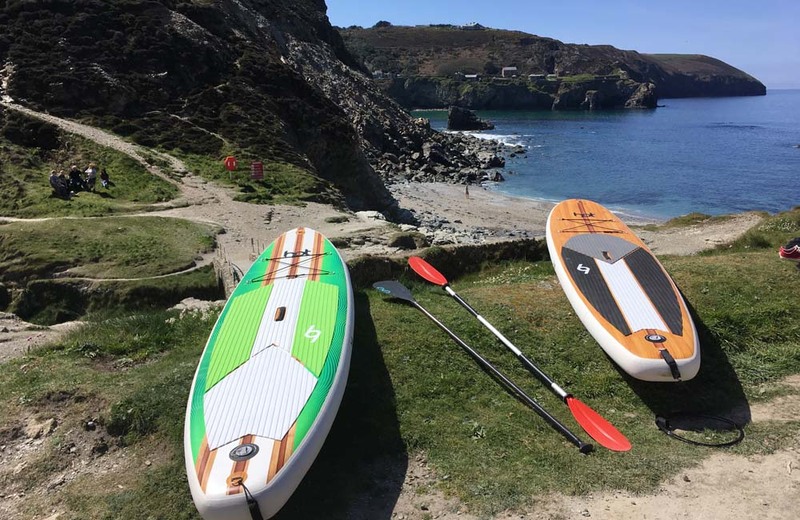 It’s the only school in the South West offering ‘SUP Kids’ lessons; a unique educational programme which not only teaches essential SUP skills and water safety, but also focuses on environmental education. When the wind’s howling on the north coast, we beat a retreat to the woods. 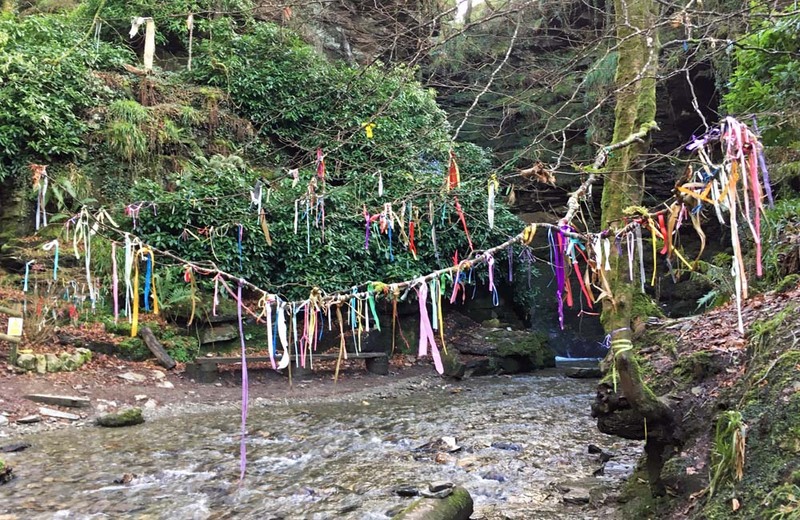 Our favourites are Cardinham Woods near Bodmin, Idless, just outside Truro, Tehidy, near Portreath, the waterfall walk at St Nectan’s Glen (the only one you have to pay for in this section) and the magical nature reserve at Kennall Vale. The remnants of an old gunpowder works here have been taken by the forest and our kids adore playing hide and seek along the walk. You can catch also Rogue Theatre‘s ever-popular promenade performances of Wild and Firebird, in Tehidy Woods in the second half of August. 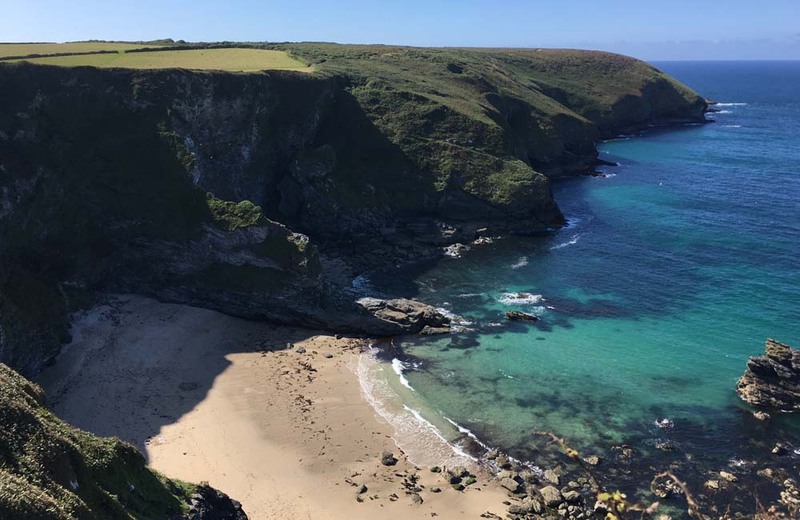 Why would you park at one of Cornwall’s busy beaches when you walk a short distance and discover a quiet stretch of sand and some of the counties wilder places? 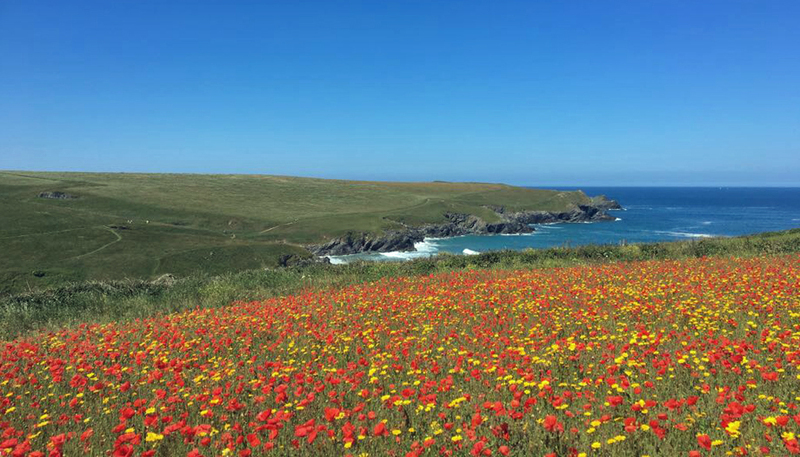 Over favourites are Porth Joke near Newquay (15 min walk), Gwenver (10 minutes) round the corner from Sennen Cove, Nanjizal, a stunning walk from Land’s End, Fishing Cove near Godrevy (steep access) and Whipsiderry Beach (steep access), between Porth and Watergate Bay. Pretty please add your favourite beach walks in the comments, as we’d love to try some new ones this summer, outside of our usual haunts. Find out why Porthcurno was once one of the best connected places in England at The Telegraph Museum. Visit Falmouth’s National Maritime Museum, where there’s lots of holiday activities and an excellent Titanic exhibition. 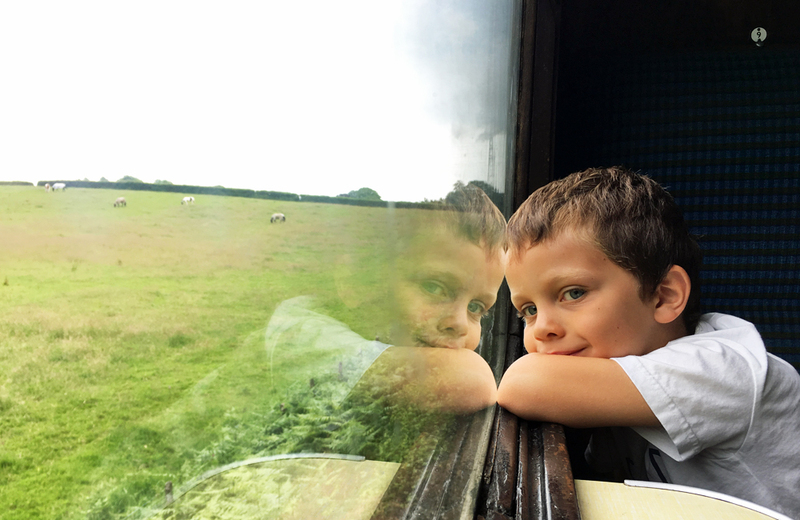 Eat cream tea aboard a steam train on the Bodmin and Wenford Steam Railway. Discover Cornwall’s mining heritage at various sites around the county. 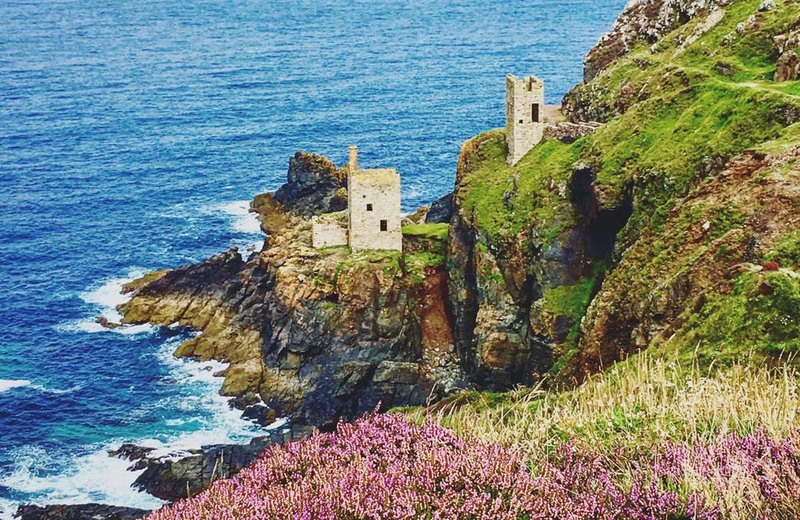 We love the walks at Botallack Mine and Wheal Coates to Chapel Porth Beach near St Agnes. But you can see the best preserved mining site at Geevor Tin Mine near Penzance, where you can go underground in a real 18th century mine. There’s also plenty more to learn at King Edward Mine Museum near Cambourne. This may sound like more of a grown-up activity but there are great things for kids at many of Cornwall’s great gardens. 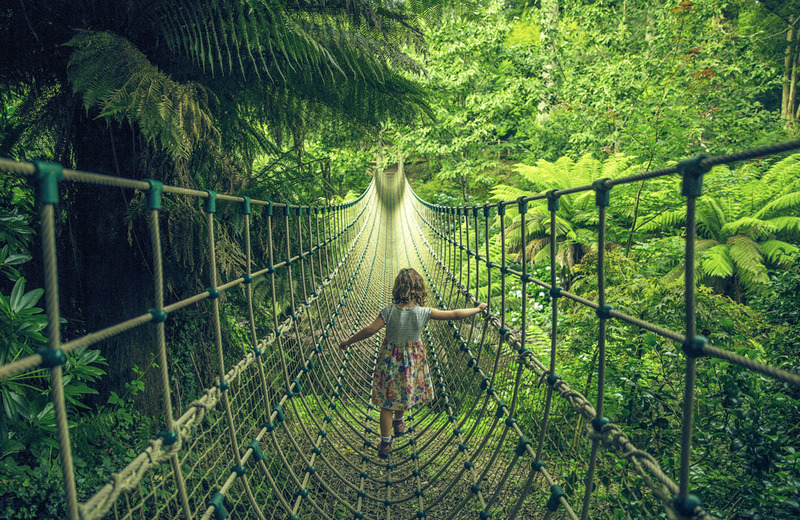 The Lost Gardens of Heligan are especially good for children, with programmes of fun outdoorsy activities every school holiday, a rope bridge and giant garden sculptures, The Mud Maid and The Giant. National Trust Glendurgan has a maze and cool giant’s stride rope swing and Trebah Garden meanders down to a quiet beach on the Helford and has an all-wooden playground near the top of the valley. Many have dates for outdoor kids theatre this summer too. 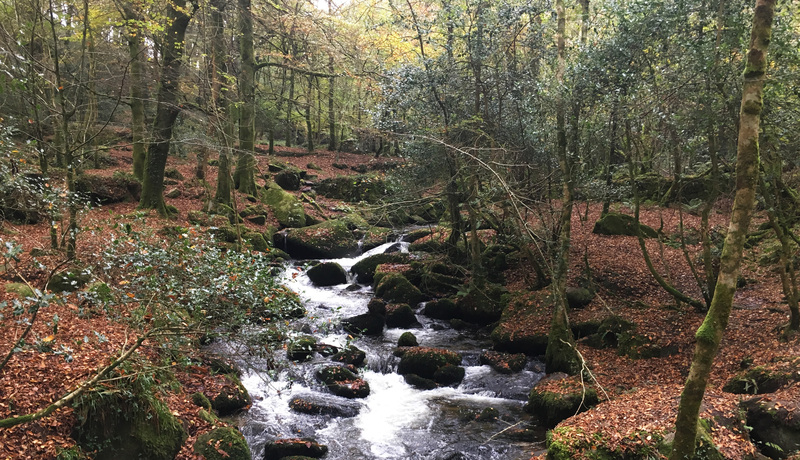 For a more wild and undiscovered experience, try Tanglewood Gardens near Penzance. 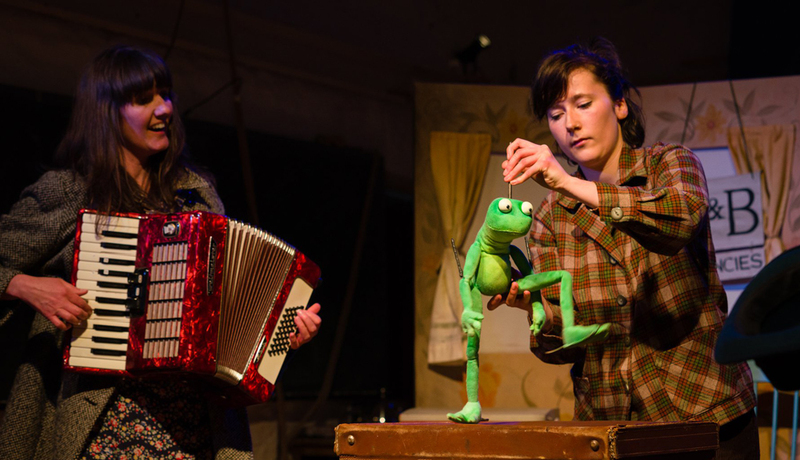 Cornish Theatre Company Kneehigh have their pop-up theatre space The Kneehigh Asylum at The Lost Gardens of Heligan with two children’s performances The Dancing Frog (good for younger audiences) and FUP! (recommended for 10+ but with some adult themes). Hilarious storytelling and puppetry from Squashbox can be seen at various locations, including the Minack Theatre, Penlee Park and Trebah Garden. Illyria is touring with performances of The Pirates of Penzance, at Sterts on 10 & 11 Aug and Bedruthan Hotel on 16 Aug, and Dr Dolittle, at Trebah Gardens on 31 Aug & 1 Sept. There will be a promenade performance, commissioned by and hosted at Trebah Gardens called Scraww, which sounds brilliant. And finally, Quantum Theatre’s The Reluctant Dragon is coming back to Cornwall later in the month, with performances at Penrose Estate – 21 Aug, Sterts Theatre – 22 Aug and Bedruthan Hotel – 23 Aug. Try out all the water sports on offer at Retallack Resort, St Columb – from the Giant Aqua Park to the surf simulator, FlowRider. 7-day passes allow you to try the lot! 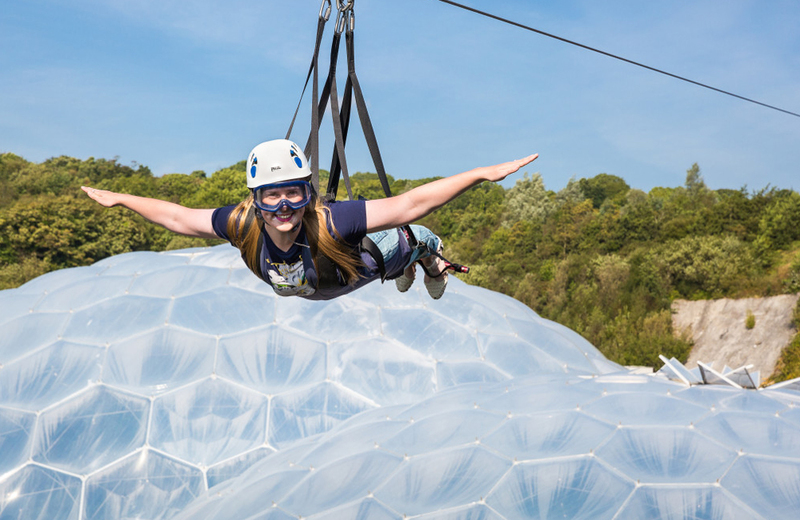 Ride England’s longest and fastest zipwire at Hangloose at the Eden Project. They also have a 20-metre giant cliff swing, free falls, airbags drops, 360 swing and climbing challenges. Find another fast and furious zip wire, giant swing and coasteering at Adrenalin Quarry. Plus – axe throwing! Kind of like archery for maniacs, hurl your whirling weapon at the tree stump targets and listen out for the satisfying thud. And there’s more ides here. Yes there are pasty shops and ice cream parlours at every turn in Cornwall but some are a bit more special than others. For the best pasties head straight for Philps – in Hayle and now where The Horse and Jockey used to be in Porthleven. 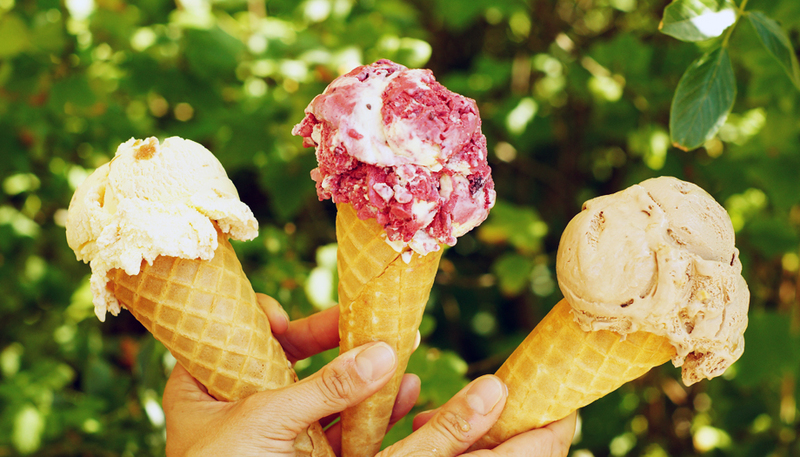 To make your ice cream more of an occasion, you can visit the actual farms where it’s made at Callestick Farm (near Truro) and Roskilly’s on the Lizard. And if you want to go all out, grab a killer ice cream Sunday at Moomaid of Zennor in St Ives. Two well-known accessible bike trails that are perfect for kids are the Bissoe and Camel Trails. The Bissoe Trail runs from Portreath harbour on the North Coast to Devoran. We’ve never done it all but enjoy riding sections of it. The Camel Trail runs from Wenford (near Bodmin) to Padstow but the most famous bit is the Wadebridge to Padstow stretch, ending fortuitously close to Rick Stein’s fish and chip shop. Go North from Wadebridge for a quieter cycling experience. 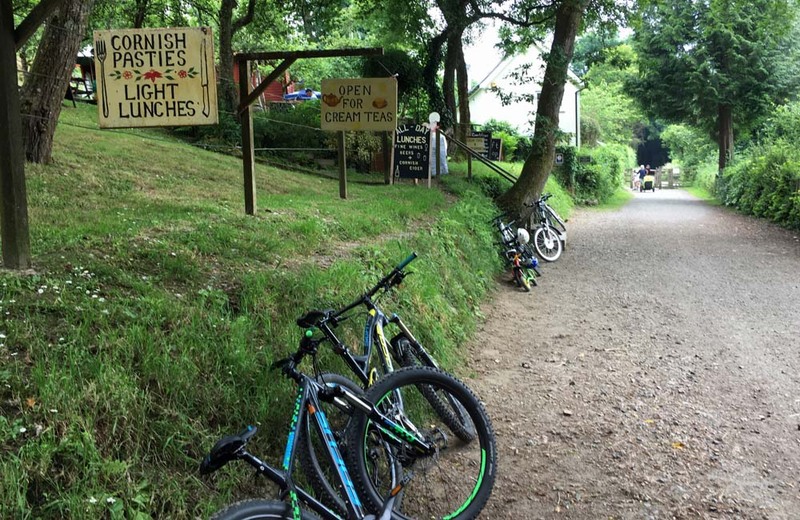 We also love Cardinham Woods and National Trust Lanhydrock for more of an off-road, woodland ride (but still easy enough for kids). 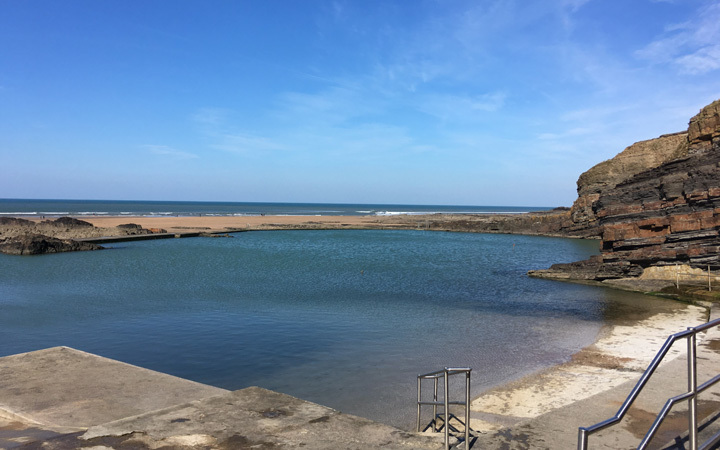 Safer than swimming in the open sea – but we love that too – a sea pool offers a calm environment for kids to swim in the open. There’s one on the beach where we live at Perranporth but we also love the pool at Cape Cornwall and the big sea pool at Bude if you want to cover a bit more distance. 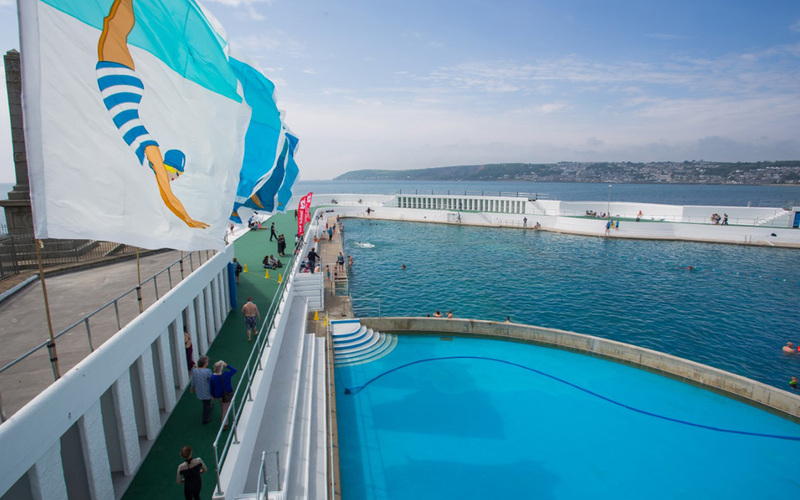 For a slightly more manicured experience (with a great cafe) – try the Jubilee Pool in Penzance. There’s a great sense of community here and they are currently fundraising to heat it sustainably year round. I’m experimenting with this one as I type. I’ll let you know how it goes! I wouldn’t necessarily say FUP is a children’s show! It’s advised for 10+, but does contain pretty adult themes. It’s utterly brilliant, but be prepared for some more mature content too. You could always book them on to one of our workshops at Contrary Mary Cakes in Liskeard. We do everything from themed cupcake toppers to slime making, or Fimo clay creations to bathbomb making. Check out our Facebook page! Looks great, don’t forget Wheal Martyn just outside of St Austell, that’s a great day out.